The other week, publishing industry veteran Shelley Lieber, the subject of today's Smashwords interview, posted a thought-provoking comment in response to my interview with author Norman Savage. She expressed concern Norman wasn't pricing his book high enough given the quality of his novel. Her comment sparked an email thread between Shelley and myself, which led to a phone conversation, which led to today's interview. Shelley is the author of 4Ps to Publishing Success, now available at Smashwords, a book that educates authors about the art of writing and business of publishing. In our exclusive interview, Lieber hints at a coming renaissance in self-publishing as authors and publishers alike begin to shed previously held misconceptions about the quality and potential of self-published books. As Lieber notes, the secrets to writing a great book remain the same, but the path to publishing and marketing a book are forever changed thanks to new publishing tools. [Mark Coker] - Your experience in the publishing industry goes back 30 years, both as an author and as a book editor at Holt, Rinehart & Winston, Macmillan and McGraw-Hill. How has the industry changed in this time, and how have these changes impacted authors? [Shelley Lieber] - The industry has probably changed more in the past two years than it has in the previous 50 to 75 years. Of all the creative industries, publishing is the most conservative and slowest to change. As technology advanced and became more readily available and affordable, individual artists in every creative field began to take on more responsibility for all areas of their craft. Authors were no exception; however, at first authors did not get the favorable response that film artists or musicians got from their respective industries or from the general public. Everyone is probably familiar with the term “vanity press” and the accompanying insinuation that if one couldn’t get a traditional publisher’s stamp of approval, the work was unworthy so it had to be self-published. With the advent of print on demand (POD) printing and the easy accessibility of digital publishing in the form of ebooks on the Internet and now on ereaders such as Kindle, iPhone and more, everything has changed. Faced with the prospect of spending years trying to get an agent, who then may take yet another year or more trying to find a publisher, who may take another 18 months to produce the book, which may not earn back the advance, ambitious authors looked for other avenues—and found them. People are publishing their own work, and getting their message out to their audiences using the new methods because it’s faster, easier and more effective than the traditional way. A loose translation of Victor Hugo’s famous quote is, “An invasion of ideas cannot be resisted.” And while the majority of the old school publishing community dug in its heels and refused to budge, the rest of the world began to incorporate those new ideas. What we are witnessing in publishing today is the result of “an idea whose time has come.” The budget cutbacks, acquisitions freeze, restructuring and layoffs rampant in the publishing may have been hastened by the current economic situation, but were not caused by the recession. The old system wasn’t working, and the recession became a convenient label or excuse to explain it. Or, perhaps it was the straw that broke the camel’s back. Either way, the changes are good for authors. I believe this is the beginning of a new era in publishing. In January of this year I declared 2009 as “The Year of The Author,” because there are more opportunities for publication today than ever before and it’s going to get even better. [Mark Coker] - In our phone chat, you mentioned that just a couple years ago, you might not have recommended self-publishing to authors, yet now you do. What changed your opinion? [Shelley Lieber] - I think what I said was that I would not have recommend self-publishing with the specific intention of attracting a traditional publisher and contract, because back then, self-publishing served more as a mark against you than for you, unless you had sold thousands of books. Today is a whole new market, however. Two things are working for the self-published author: one, is that there’s much more help available to make sure you put out a good book and the quality of self-publishing as a whole is rising. Second, with the limitations acquisition editors are facing—smaller budgets, celebrity authors not being guaranteed successes and memoir writers turning out to be liars and frauds—a “safe” bet is the self-published author who has sold 5,000 to 10,000 books on her own. Suddenly agents and editors are trolling the Internet in search of these self-published authors. Ironically, now successful indie authors are finding themselves being approached by the very publishers wouldn’t even return the SASE two years ago. [Mark Coker] - In your view, what's driving the rapid growth in self-publishing? [Shelley Lieber] - More than anything else, technology is driving the rapid growth. People are doing it themselves because they can. It’s empowering to have artistic control over your work. And serious writers are taking the steps to do it in a professional manner. The stigma of “vanity” press is diminishing because the product is improving. Yes, there’s still tons of bad stuff being put out. But that will change. The cream always rises to the top. The poorly executed projects won’t sell and the fun of doing it won’t sustain. But, the books put out by authors who took the time and money to do it right will sell, make money and make a difference. Plus, right now the DIY trend is huge. More and more, the focus is on favoring the little guy (or gal) making it, and it’s especially appealing to the public when it’s done in the face of the big, mean corporate machine. People are really tired of the demands and restrictions of bureaucracy and ever more ready to root for the underdog who triumphs in the face of obstacles. It’s sooo American dream. And if a book is good, it’s good. Most people don’t give a hoot who the publisher is if they like the book. The snobbery associated with traditional publishing is much less appealing and powerful than it was before. 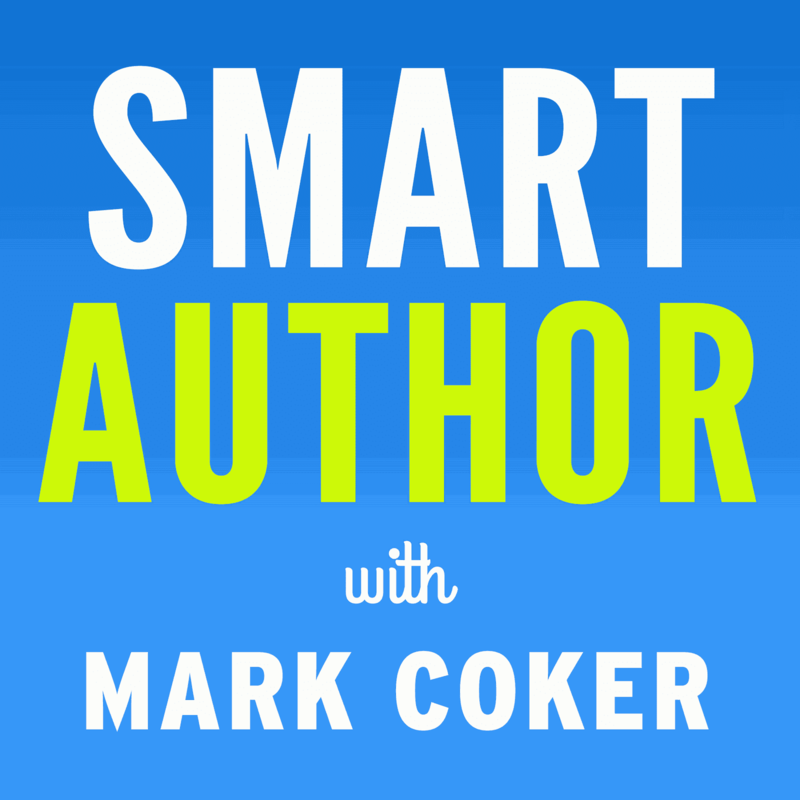 [Mark Coker] - In the 4Ps to Publishing Success, you argue that authors need to treat their writing as a business. What do you mean by this? [Shelley Lieber] - I encourage everyone to write; it’s a wonderful form of self-expression and helps individuals explore and examine their inner selves. Writing is a passion, a soul-driven activity. However, publishing is a business, and successful (VIP) authors know the difference. For some reason, perhaps because there’s no heavy machinery involved, people think all they need is a computer and printer and that makes them an author and publisher. Yet, these same people wouldn’t enter any other business on a whim. They would take classes, work in the field and perhaps seek the services of a coach or mentor. It must be the same for publishing. The truth is that most mistakes first-time authors make are the result of one BIG error: not getting educated about the publishing process. So many people jump right in without knowing what they are doing. The result is they spend way too much time and money (or too little, thinking they can do it all themselves), and end up with inferior products because they didn’t know enough to make informed decisions. I’m working with an author right now who came to me for marketing help just before she was going to press with her book. I asked her to wait until I saw her final file before going ahead with the printing. This is what I saw in her proof copy: an inferior photograph and uninspired graphic presentation on the front cover with poorly crafted back cover copy. The inside the pages were not designed well, either. The pagination was incorrect, and the title and copyright pages were not formatted correctly. The layout was amateurish. The header style changed from page to page, the paragraph indents were too wide and the inside margin was too narrow. The page layouts were dull without use of any graphic features, and it needed a good copyedit for style consistency and language use. That was on the first thumb-through. Once I spot read a few chapters, I saw the book was a well-written, interesting and compelling read on a topic that would have broad appeal in the marketplace. But if she had gone ahead with that original file, she never would have garnered any attention or positive response because everything about it said unprofessional presentation. Even if you don’t have my professional eye, you would know just by looking at it that it was self-published. I titled my book the 4Ps to Publishing Success because publishing is a four-part process: plan, produce, publish and promote. There is a right way and a wrong way. Just because you are self-publishing doesn’t mean you want to throw out all the conventional wisdom of how to do it. Education is the key. You don’t necessarily need to become a publishing professional to put out a good book on your own. You have to know enough, though, to know how to hire the right people to provide the right services without getting ripped off. [Mark Coker] - In your comment on Norman's interview, you wrote, "Writers do a disservice to the craft (and other writers) when they give away their work." Do you think authors are too quick to discount the value of their works, and too quick to embrace FREE as a marketing tool? And if so, how do you recommend authors compete against the growing number of free and low-cost alternatives to their books? [Shelley Lieber] - I absolutely think that authors are too ready to give away their work. In the magazine industry, it’s not uncommon for publishers pay writers in copies of the magazine or as little a one or two cents per word. New writers are so eager to get their name in print, they often will give away their work. However, when writers undervalue their own work, it sends a message out that writing is not valuable. Typically, writers are underpaid for the amount of time and effort they put out, especially compared to other services such as design, illustration and photography—and that’s across all industries: publishing, advertising, public relations, etc. This is not to be confused with writing free articles for ezine directories as a marketing strategy. Writers can employ “free” as a method that will serve to promote themselves and their work. For example, it makes sense to me to give away a chapter of a book via a free download on Smashwords. Or, offering a lower-cost ebook version of a book may lead to the reader purchasing the print version later on. Authors need to be creative using their writing talents: blogs, commenting on other people’s blogs, press releases, letters to the editor, etc are all ways to get make your name visible to the public and offer an opportunity to advertise your website or blog. Authors can give free tele-seminars, offer podcasts, create short videos for YouTube…there’s no end to what you can do for yourself. Create demand for your work, create value…and then you can charge what you’re worth. [Mark Coker] - Thanks Shelley! 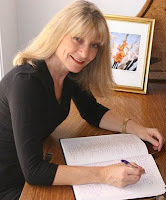 To learn more about Shelley, visit her Smashwords author page or visit her web site at http://wordywoman.com. For authors interested in Shelley's author mentoring services, check out the VIP Author's Mentorship Program, where she offers a newsletter, weekly group teleconferences, and one-on-one consulting. Last night, I wrote a short post about the value of the written word. I often receive emails from authors who thank us for giving them the chance to reach an audience, no matter how small. I am new to the e-book realm and read your company information. My love of good fiction is only overshadowed only by my feeling that a great book is one that shows us some truth about human nature and helps us better understand ourselves and perhaps the motivations and inner realities of those around us. I now realize that I (and all readers) actually have access to  characters, imaginings and truths that would otherwise lie dormant on some editors desk. What does Smashwords mean to you? For fun, we added a new word counting ticker to the Smashwords home page. 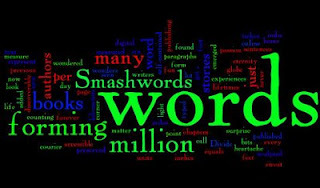 To our pleasant surprise, indie authors now publish over 34 million words at Smashwords. So I wondered, how do you measure 34 million words? In a silly experiment, I typed 12 point courier text in Word and found it measured 11 words per six inches, or 22 words per foot. Divide 34 million words by 22 and you get 1,545,454 feet of words which equals 292 miles or 471 kilometers. In the same way authors use word counts as a rough measure of progress, I think word count provides an interesting yardstick of our progress at Smashwords since our launch in May, 2008. We're only getting started. How long until we reach one billion words? It's important to remember these aren't just words. Smashwords authors have sculpted them to form sentences forming paragraphs forming chapters forming stories forming multi-dimensional self-contained units of words we call books. And they're not just books. These books emerged from the sweat, heartache, joy, passion and life experiences of writers from every corner of the globe. How many of these words might never have seen the light of day were it not for the wonder of online publishing? How many lifetimes do these words represent? And how many important stories are now preserved for all eternity in digital bits, forever accessible and discoverable? 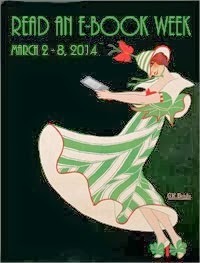 This Sunday March 8 marks the kick off for Read an Ebook Week, an international online literary event designed to raise awareness about the benefits of ebook reading. 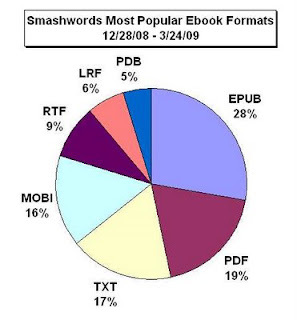 Smashwords is one of several sponsors. During the week-long event, ebook authors around the world will offer their ebooks at deep discounts, or even free, to generate excitement about ebooks. Participating Smashwords authors will offer their books for free, or for discounts of 25% or 50%. Smashwords authors can enroll by visiting the Read an Ebook Week enrollment page. Participating authors will benefit from inclusion in a special catalog appearing on the Smashwords home page during the week. The catalog will also be available in the Smashwords bookstore on Stanza, the #1 most downloaded e-reading app for the iPhone and iPod Touch. 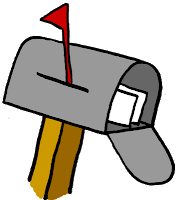 Smashwords will also publicize the event in a press release, a member mailing, and in other promotions.